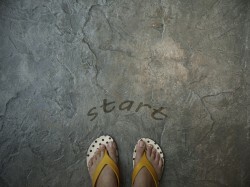 The first step is to get to know you. You will be invited to share specific health concerns along with your health and wellness goals and to review your current and past health history. Your chiropractor will discuss your healthcare options with you. If chiropractic care is an option for you, the doctor will suggest chiropractic treatment, along with recommendations of other healthcare professionals that you may want to include on your team. At The Wellpath Center, the examination and adjusting procedures are geared toward detection and correction of the "Vertebral Subluxation". The procedures used are specifically selected for your spine and the health of your nervous system. The exam is painless, usually takes less than 30 minutes, and will include a computerized test called the Insight Subluxation Station. This is a two-part exam that checks the health of your nervous system. The Insight test gives your doctor a baseline so your progress can be accurately measured to see how your nervous system is responding during care. Finally, each person is evaluated individually to determine the necessity of spinal radiographs, also known as, X-Rays. The doctor carefully weighs the benefits and risks of these tests and will only order them if absolutely necessary. The average first visit lasts about an hour. During your second visit, you'll collaborate with the doctor. One of our doctors will explain your exam findings and discuss their recommendations for care. We will answer any questions you have at this time. If The Wellpath Center is filing insurance for you, your coverage will be reviewed and your payment options explained. This visit can vary in duration depending upon case complexity, but usually takes no more than 30 minutes. The Wellpath Center is convenient to the residents of Kennesaw, Acworth, and Woodstock; located in the 75 Wade Green Business Center complex. The easiest way to the office is to take the second entrance on the right (the 1275 entrance), then make your first right, first left at the stop sign and follow the road back to Suite 1610 (the office is on the left).